The wallets of classic electro addicts have been challenged around the Christmas time when several reissues have showed up. Detroit’s Direct Beat recalls early days with “Bass Magnetic”, the only album of James Stinson’s Lab Rat XL is the newest addition in Clone Aqualung series, mysterious Scopex material was reissued and I would even mention the repress of Kid Machine’s italo tribute on Viewlexx, before proceeding to “Sonar Bases 4–10” by Sonar Base. That act is a brainchild of Frank de Groodt, an electronic musician who has excelled with solo projects and collaborations since the early nineties. He has been behind unforgettable Djax-Up Beats acts Random XS, The Operator and Optic Crux, and later known as Fastgraph and a member of the doom electro duo Ultradyne. 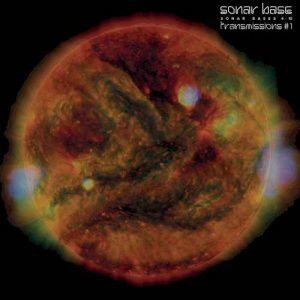 Now the Dutch label Deeptrax has reanimated Sonar Base’s only album from 1997 that was initially released on U-Trax. The first in the Sonar Base Transmissions series, the vinyl triple pack is an outstanding example of pulsating, sinister electro techno where human computing capacity is aligned with the power of machines. When several tracks are exceeding ten minutes, it doesn’t only mean value for money, but also guarantees a long-lasting bliss of interplanetary excursions in one’s mind. Not as intensely as in Ultradyne’s works, the album’s abundant cold sequences and caustic riffs are reproducing dystopian atmosphere, perceived already in heavyweight opener “Welcome To Sonar Base #4”. Moderation is not requested in “Earth Probe” where the bass equals to volcanic tremors and in “Sonar Base #5”, an 11-minute stampede with stalking synths and acid spills. Reduced wonky boogies “Sonar Base #6” and “Sonar Base #10” are for off-roading in the lunar dust and “Arrival At Dwell Probe” has intercepted radio transmissions from a space station. After a long, entrancing narrative “Intergalactic Anecdote”, “Sonar Base #10” offers a more abstract view on electro, leading to the meltdown phase with “Blunted”. U-Trax, the original label that operated from 1993 to 1997, deserves a special mention. Up to recent times, the releases from Utrecht, Netherlands tended to collect dust in Discogs marketplace and U-Trax seemed a part of techno’s sleeping history. Now it’s increasingly becoming a revered imprint and the reissues are not limited to Sonar Base. A 1992 recording of the group called CultureClash, with a few faces behind U-Trax, has been instrumental to raising the profile and another push is given by “Dissolved” by The Connection Machine, which has been reissued on Styrax.